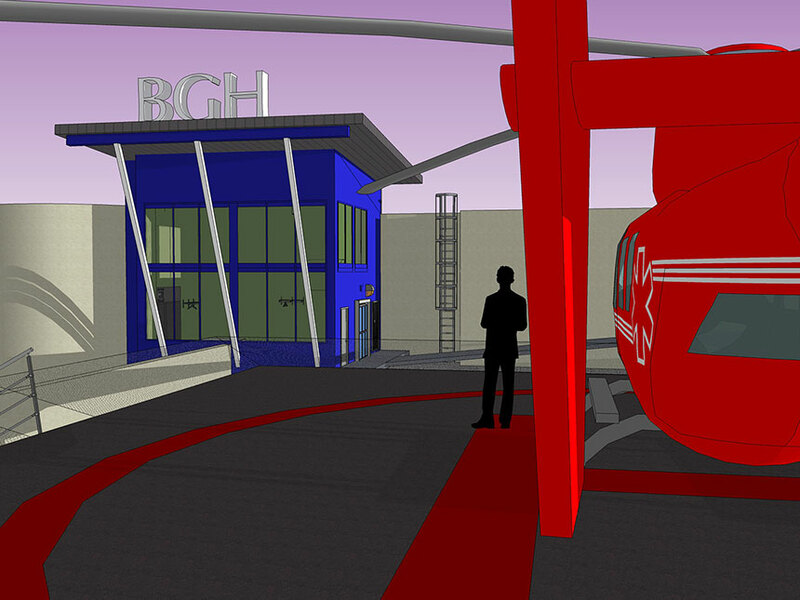 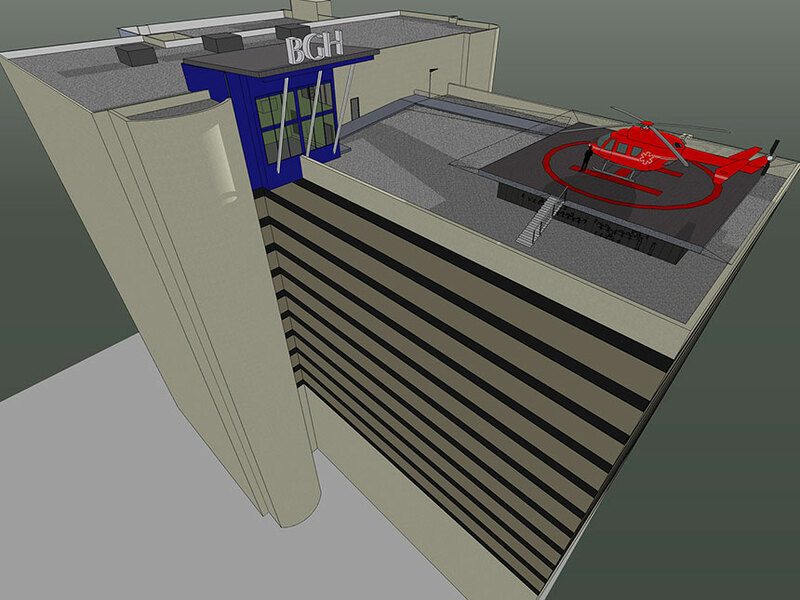 The Helipad project consisted of a design for a new structure at the roof of the ‘A’ building. 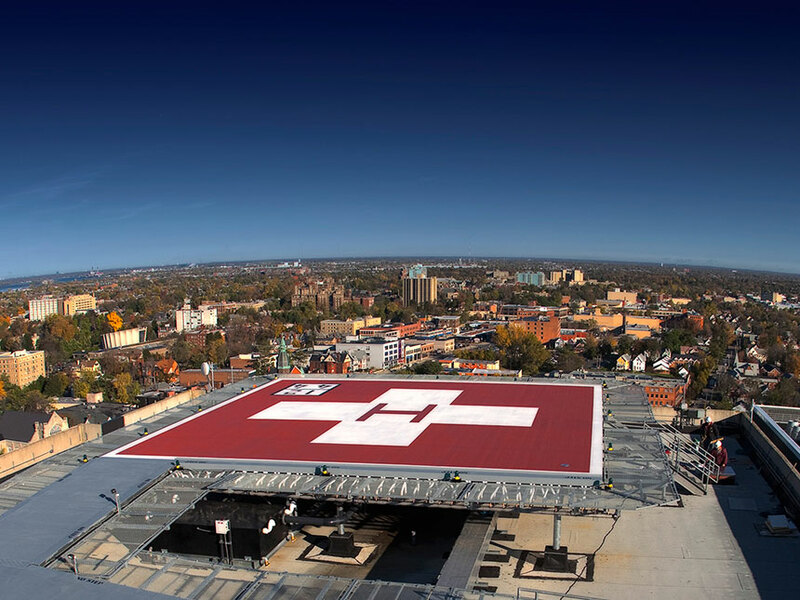 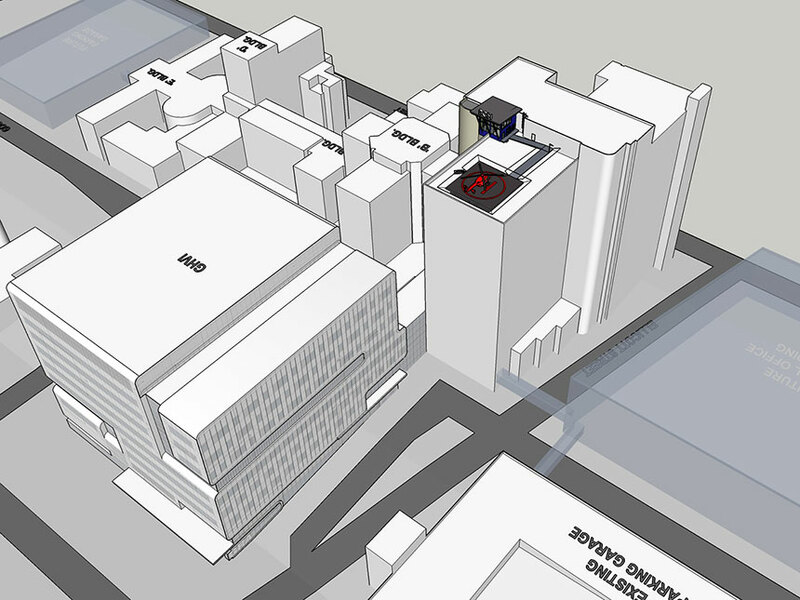 The new enclosure connects the ramps from the helipad structure that will be installed on the roof to the proposed heliport elevator shaft that provides service to the emergency department. 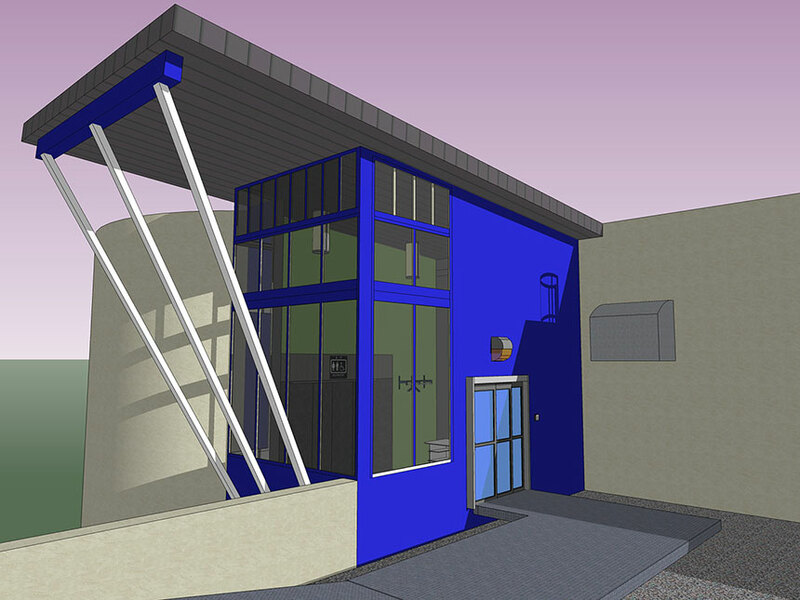 Design placed an emphasis on coordination with mechanical and electrical engineers.